According to a recent report by the Manufacturing Institute, 35 percent of students engaged in career and technical education (CTE) have no contact with potential future employers. And only 12 percent have had the opportunity to walk through a manufacturing facility. Manufacturing Day aims to increase those statistics. The month-long celebration of manufacturing focuses on introducing students to careers in manufacturing by encouraging them to tour facilities where manufacturing takes place. When manufacturing companies invite students to tour their facilities, students see CAD designs develop, materials transformed by skilled technicians operating modern equipment, and finished products packaged for delivery. Manufacturing Day is meant to inspire and recruit the next generation of manufacturers. If we’re going to address manufacturers’ growing need for a new generation of skilled workers, parents, teachers and future employers must all come together to engage students and give them first-hand exposure to modern manufacturing. So what are you waiting for? 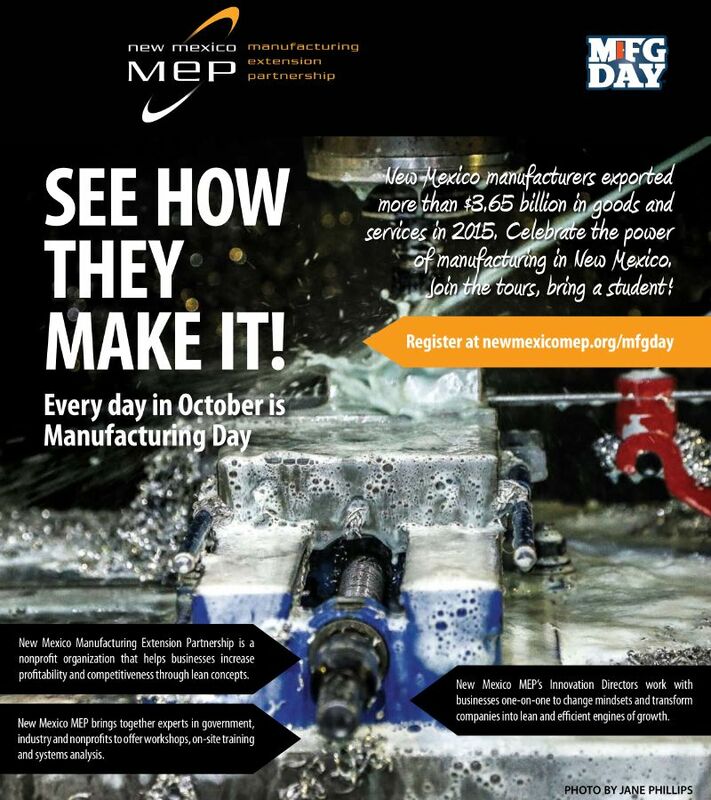 If you’re a manufacturer in search of talent, commit to hosting a Mfg Day event. If you’re a teacher or school administrator, plan to take your students on a tour. We can help. Contact us so that together we can increase jobs, talent and manufacturing in New Mexico. Sisneros Bros. Manufacturing was doing a great job filling orders for the custom duct work that goes in large commercial buildings and Navy ships. 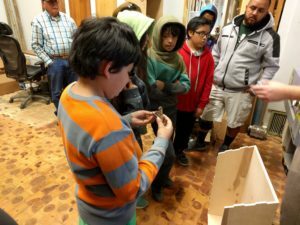 But when the next generation of family members joined the leadership team, they asked New Mexico MEP to help them plan for the future. MEP helped the company perform Value Stream Mapping, which indicated some parts were moving up to 6 miles on the floor during the fabrication process. The video explains.